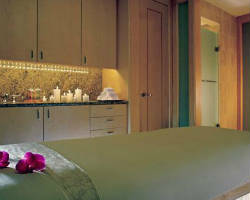 The Ritz-Carlton Spa, Dallas is a premier hotel spa salon in the city. The said hotel is the most outstanding hospitality amenity for local and international guests, today. It is also able to offer bridal services and group packages like bridal parties, wedding hair and wedding up dos for the whole entourage to enjoy. There are also make-ups, mani and pedi, nail care, hair styling, skin care, waxing, eyebrow shaping, eyelash extensions and hair updos for other hosted parties at the hotel. The day spa services at The Ritz-Carlton Spa, Dallas are packed with only the best deals to treat and pamper guests in exotic delights for all. The Spa at The Crescent is a magnificent wedding day spa vendor in the midtown of Dallas. Meanwhile, couples can also take a sip of the delicious coffee cups served at its Spa Café. There are also aerobics sessions available aside from the V.I.P. face and body treatment applied with the only the most exquisite beauty products, today. This resort like place would be wonderful to bring your friends and the whole family for an unforgettable time of the day. Get that revitalized healthy body and great skin right away at The Spa at The Crescent for sheer elegance in wedding celebrations. Legacy Salons and Day Spa provides the best comfort to couples for their wedding day. Begin with a trial consultation and get to choose the top bridal make-up and updos. Bringing wedding photos and hair styles pictures will also help in the decision. The salon’s expert team is always of assistance, so that every detail at your wedding is perfect. A whole bridal package may cover the bridesmaids’ updos, bridesmaids/mothers makeup, face and body massages, waxing and luxury facial treatment. Experience a luscious and jazzy skin care for your wedding day, Legacy Salons and Day Spa bears just the right bridal package for you. Avalon is the city’s top notch salon and skin treatment hub across Dallas Spas at our times. It takes pride in a modern skin care and hair styling system for guests to enjoy in assorted features. Avalon has established a mark in the business for creating successful procedures like acne, wrinkle, hydration facials, body scrubbing and microdermabrasion treatments. The salon also features the best hairstyles and hair relaxing techniques added with quality products in hair care services, weave infusions, extensions, barber services and fine line cosmetics. Weddings are never too small for Avalon, try its body regimen and skin care line packages to create the most dazzling styles to your wedding day. Relâche Spa specializes in nail, skin care and spa services. For weddings, just drop by at the hotel and the team will gladly arrange a booking for you. 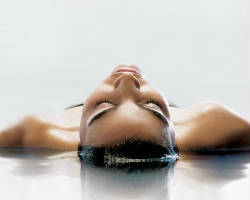 The spa is a combination of grace and chic in day spa services. Upon entering its doors, guests can lavish in comfort with therapeutic body massage, hot stones, facials, mani-pedi, body therapy, microdermabrasion and etc. Although, there is no hair care feature, you can still get a full experience of being in a world-class known local salon. 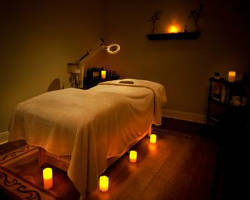 Relâche Spa surpasses standards among spas in Dallas, TX and has received added awards according to reviews in day spas. A simpler yet beautiful new you are experienced at the Red Door Spa. This is where Elizabeth Arden has applied her styling and fashionable expertise, and her guests really loved it! From her very first store opening packages are given as affordable V.I.P. day spa services at Texas. To name a few, certain types of waxing services, nail care, hair cut, hair styling, deep tissue massage, microdermabrasion, peelings in facial, bodily scrubbing and aromatic body massage. Find just the most right professionals for you at the Red Door Spa. Call now for bridal appointments and receive a new level to your lifestyle. When it comes to the big day, Halcyon Days Salon and Spa knows what to do. The special salon applies state-of-the art techniques in basic bridal packages and bridal services, today. Some of the day spa services also include facial peelings, microdermabrasion, body massage treatment, body contouring treatment, anti-aging treatment and a lot more. Halcyon Days Salon and Spa is a very popular award-winning salon at midtown. From its opening, the place has been seen bustling with eager guests awaiting their hair arrangements and body regimen to match fantastic celebrations held in the city. Visit the place and get loads of fun in skincare and hair trends! Get a new look and dazzling body today at the Woodhouse Day Spa. The unique spa applies the highest quality organic products for its treatments in hair waxing services, skin care, hand foot treatment, nail care system and body massage. Couples are invited for a wedding arrangement to remember in bridal packages. The wonderful day spa also offers a bridal make-up and bridal updos feature using only nothing but the best beauty and skin care line at times. Drop by the salon now and get a free advice on what to wear in hair styles and fashions for a full wedding celebration in the midtown of Dallas.